This is wonderful work. The poems in Amaranthine Hour are both vibrant and somehow modest at the same time, wonderfully reflective. The speaker has earned maturity and understanding yet realizes that even this achievement has its limits and is ephemeral. The mildly eccentric, at times, lineation works here, as do subtle repetitions throughout the well-patterned and arranged manuscript. Teeters at the brink of sadness but refuses to give in to it. 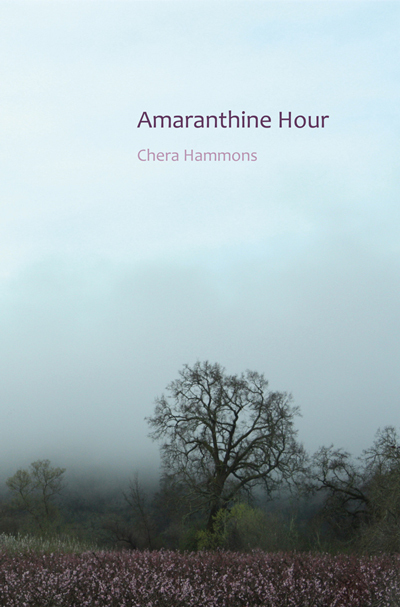 Amaranthine Hour is an elegant meditation on the mysteries of nature—personal experience—and the soul—in the redemptive inventive human act of naming the invisible, and the formerly unnamable. A rich phenomenological grappling with grief, mortality, love, and the violence of loss.